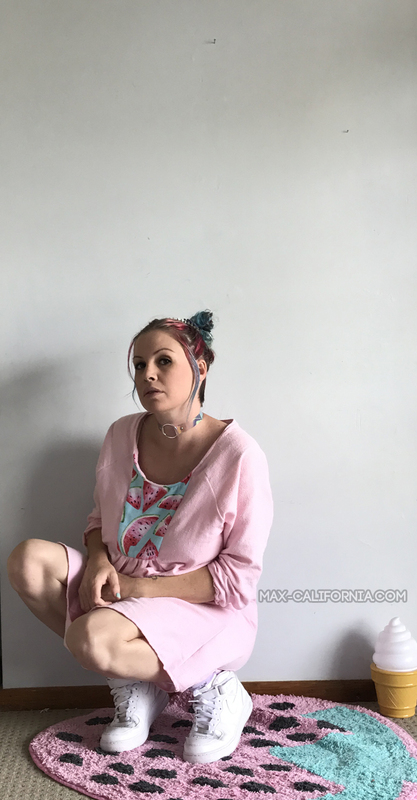 Max California: Amuse Boho Dress (x2) & I have a baby bump! Amuse Boho Dress (x2) & I have a baby bump! I totally didn't really make a big announcement anywhere that I finally fell pregnant with our third little babe so this will be it for this here blog, okay? Nope, don't know the gender, Yep, i'm going for a VBAC after two c sections and yeh there's only like 2.5 months left and I don't really have any decent special maternity photos. Or maybe everyone knows they're PJs and they just don't question me anymore with my fashion choices haah. Sewing for myself is hard, I don't really have fabrics in my stash that I love overly much for clothing for myself, and most of my muse is making rad gear for Vin and Ed. Plus, it's easier and faster to sew for children. Sideseams are so much shorter ahah. Also I have come to realise that while I'm such a big fan of pastel colours right now, when sewn up in a dress they're just going to look like a hospital gown since I look SUPER pregnant in them. HOWEVER. 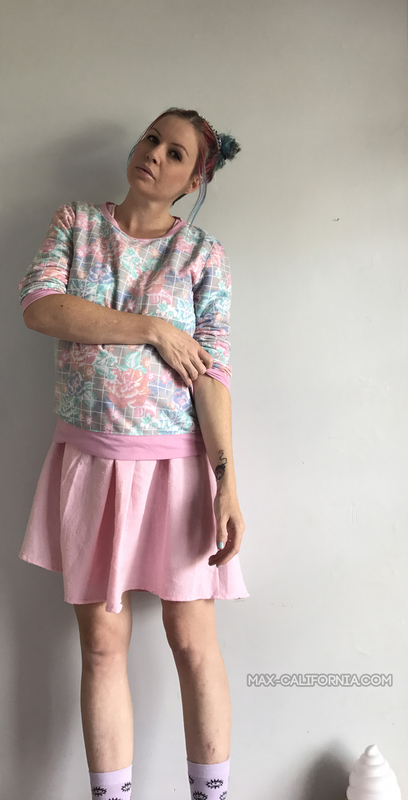 After wiggling my way into the Amuse Boho dress blog tour and realising that while in my head I could make a supre beautiful and whimsicial dress, realistically my body is just going to make me look like a giant toddler or a maternity ad from the 90s. But you know what, I made it work. 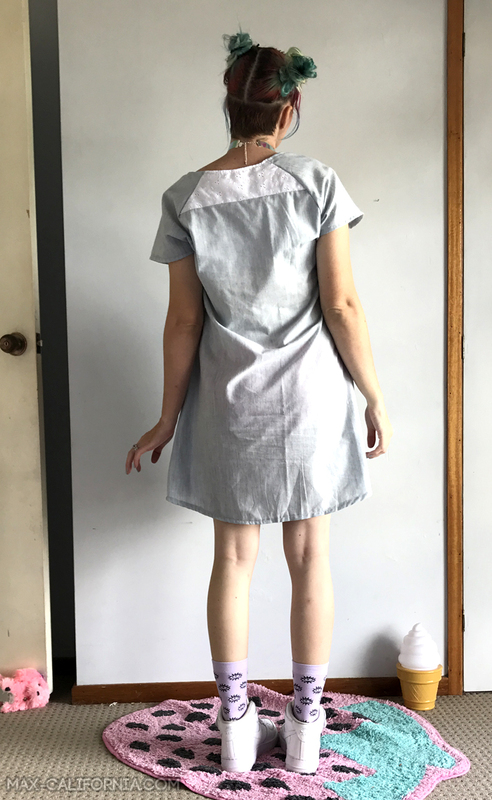 Sewing up this blue version in what was labelled bamboo cotton by the op shop I scored it from (highly skeptical of the fabric content BUT), I was like, oh no I've sewn a hospital gown for myself. Sure it's going to look so damn cute when i don't have a third child growing out the front there, but I was really critical of my skills and what I had just done to myself. I need to stop doing that and just trust that I can pull anything off, because I can. 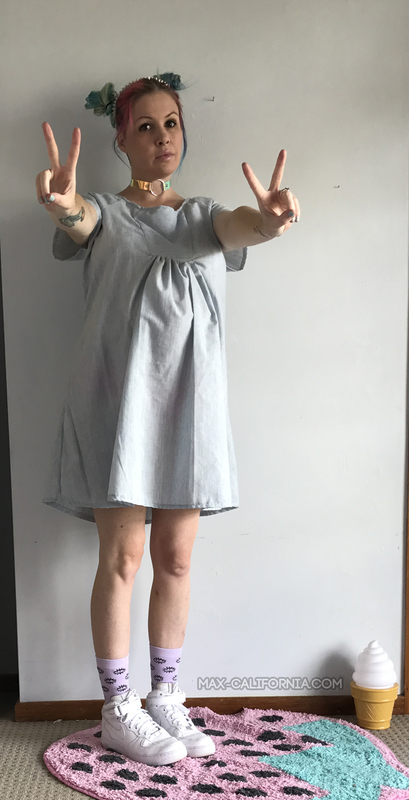 This sweet blue denim Amuse is SO COMFORTABLE, and even though I was still sort of bummed my pregnancy was making it look ridiculous, I still sewed up a second one right away because COMFORTABLE. Also, I mean, look at this, how damn cute is it really?? The dress comes in several lengths, from top to longer dress. I did the mini version, a little scared because the bump makes things shorter, but I love hems hitting above my knees or mid-thighs and this worked out so well. I went by my bust measurement for this, after being reassured that the gathered front would be enough for the bump, and sewed up a size L.
Perfect. The first one I didn't have enough to do longer sleeves, so I made shorter than short sleeves and I love them. There's a front yoke you can keep plain or do contrast, as you can see I did both. There's also an optional back yoke, which I did for the first version in some white broderie anglaise but I left the full back for the second version. OH and there's different options for the hems too, a straight one or a shirt hem which is the one i used on both. I just really love that curve so I always go for that option every time it's given to me. The pattern can be sewn in both knit or woven and with no closures to have to worry about like buttons or zippers holy heck it's a quick sew? I stitched up both of these in about two hours, honestly. Look how cute it looks with just a little jumper thrown over it too! There is currently a code until the 14th for the Amuse Boho Dress and you can save 20% off the pattern when you enter: AMUSEME. It's by my PRAP buddy Suzanne of Winter Wear Designs! You know how proud I am of her with all her successes since we competed together, she just blows my mind with what she is capable of.